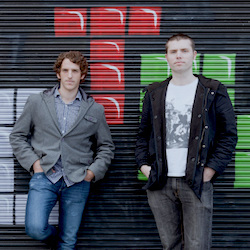 Planet Jumper is a Melbourne based production duo consisting of Steve Ford and Drew Schapper. 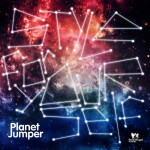 Planet Jumper fuse funk, broken beats, dub, disco, house and techno to create inventive music that is driven by low slung, driving bass lines, liquiefied wah guitar, sticky synth lines, wild percussion and an overwhelming desire to start the party. Inspired by timeless music and classic cultural antagonists, Planet Jumper takes its musical cues from the past, while always looking to push their sound sonically into the future. Planet Jumperís live performance featuring heavy live drumming and percussion, is a hyper frenetic, energetic show, predicated on the swift and continual live remixing of original Planet Jumper productions. Signed to Agent 86ís 'Lightspeed Records' (AUS) Planet Jumper released their first EP, "Stick Back", in 2010, which included both original music and remixes. Since then Planet Jumper has been featured on the legendary Revolver ëLate Showí artist compilation (2011). They released their second EP, ìLeave This Place Behindî on 'Slap Gravity Records' (2012), with remix duties handled by Scottish production/DJ legends Optimo. Planet Jumper's second EP of 2012 was called 'Brooklyn Bound' and was released on 'SMaSH BaNG Records'. 2013 has started with Planet Jumper releasing their ëBullet Proofí EP on Dobara Music, their ëNo Rest for the Wickedí EP on Dobara and their ëFunkollaborationí EP alongside label mates Oddphonic on 'SMaSH BaNG Records' (AUS). They have future releases on ëDobaraí (UK), an LP set for release on ëLittle Angel Recordsí (ITA) and additional releases through 'Slap Gravity' that will feature disco dons Anthony Mansfield (USA) and Ray Mang (UK) remixing Planet Jumperís forward thinking take on funk.